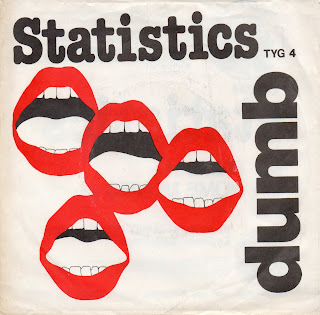 music ruined my life: The Statistics: Dumb (1979) NOW WITH FULL HISTORY! The Statistics: Dumb (1979) NOW WITH FULL HISTORY! 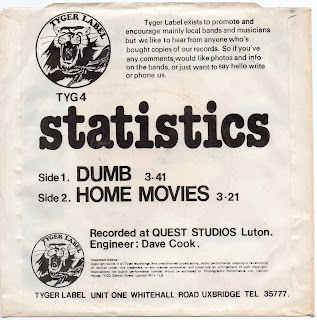 The Statistics were a short-lived, late seventies West London (Uxbridge) power-pop band who consisted of David Jones-Owen guitar, vocals - Barry O'Brien drums - David Leversedge vocals, keyboards and Alan Thomas bass. The band's sole single offers a tight-rocking pair of songs that needs to be brought out from the storage room of history. "Dumb" marries a witty, post-modern take on the art of song-writing with a hard-hitting arrangement, a heavy-weight hook and some wild sax playing. 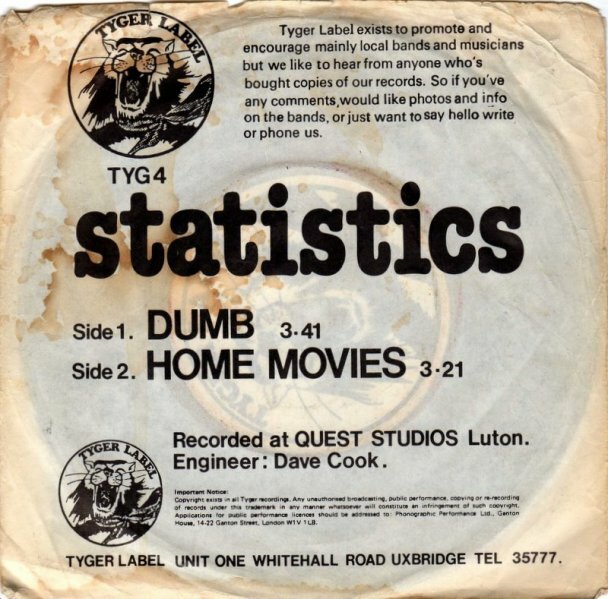 "Home Movies" is a little quirkier but still has the stinging Farfisa organ and the catchiness of the A-side. While not really indebted to anyone band of their time, this little affair does reminds me of a punkier Squeeze, which is only a good thing. 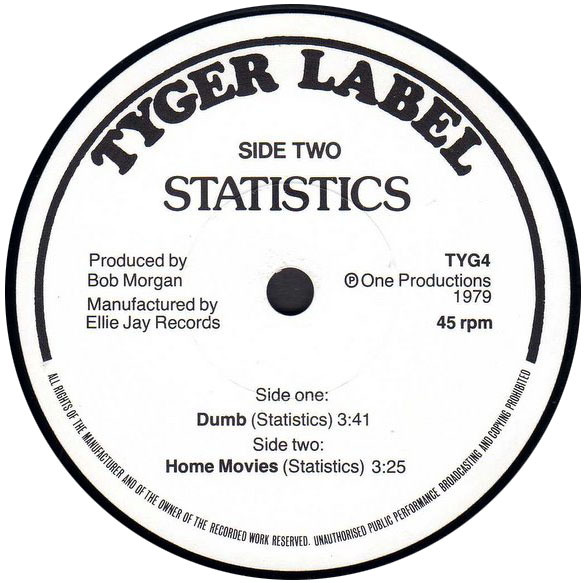 The sax on the A-side was added by the band's friend, mentor and producer Bob Morgan who recorded a number of well known singles himself under the name Steppin' Out (available HERE and HERE). Two Stats, O'Brien and Jones-Owen, also played on the very well-regarded (read HERE) single "Red Box" by I Jog and The Tracksuits. Recorded At – Quest Studios, , Luton. 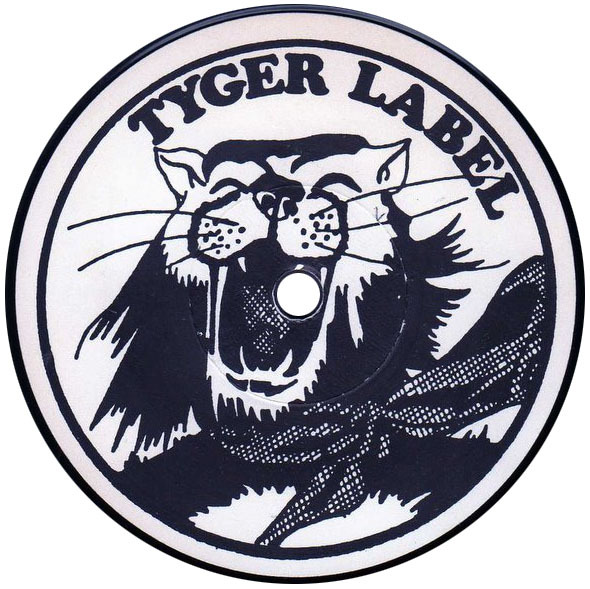 Includes a DIN A4 sized insert with comic art to introduce the label "Tyger Label Records" and a sticker with a tiger head. 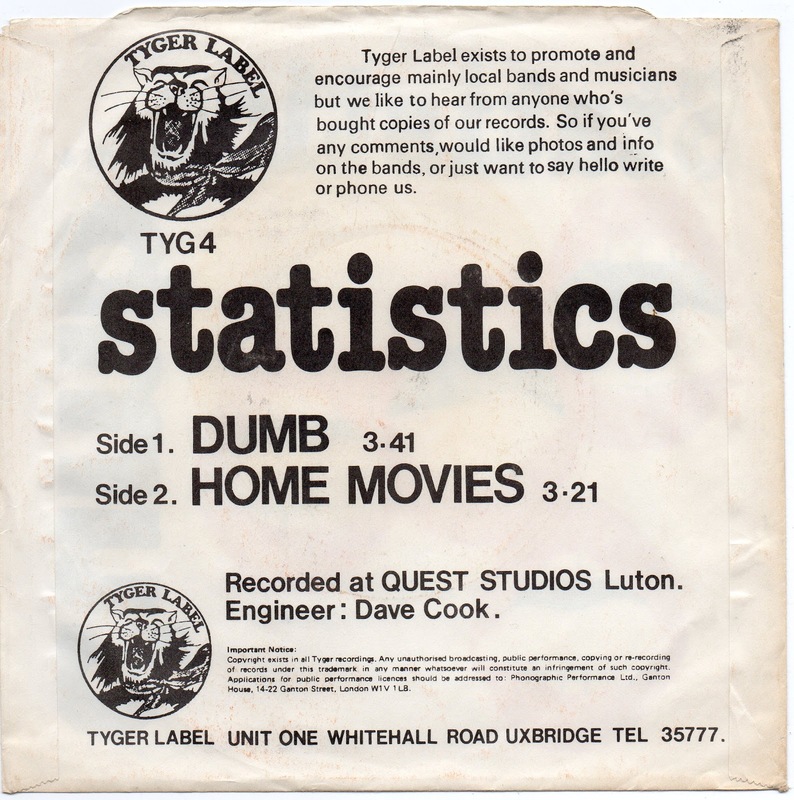 Since the last time I posted this single (thanks to a donation of rips and scans by the redoubtable Roberto), it attracted the attention of Statisticians David Jones-Owen and Barry O'Brien who helped me fill in the gaps about the band. So up for remedying the errors of music history was O'Brien that he wrote a witty, whimsical history that takes up five pages[!] and is included in this download for your perusing pleasure. Hey this post represents some big work from me, Roberto and of course Barry O'Brien and his band-mates, hopefully you'll spare a word or two on the subject of The Statistics in the COMMENTS section! this one was a labour of love from all the folks involved and a word of encouragement from you is most politely requested. appropriately grateful for the effort. why did they abandon such promise? It was both the best and the worst of times to be an aspiring young pop band! It's been added - thanks for making this post even better! Many thanks. The hard effort put forth to bring unknown music to the masses is very much appreciated. Making the unknown an tiny bit more known is what we love to do! Thanks from a professional statistician: now my math can sing! wow!great Jeffen and many thanks to all the guys in the band,it's a pleasure to read...cheers. See what your work started! Thanks man, love the fact that it took a lot people of people from around the world to make this happen! I'd forgotten about the A4 insert - drawn by our friend Jane, good work. One small correction it was Dave Jones Owen NOT Dave Leversedge who played on Red Box and also Dave JO who got me here in the first place. Thanks for all your interest and support - I still love both tracks.